Flawless Skin888 offers FREE delivery on all domestic orders placed through our website, with no minimum order quantity. We also understand that getting your orders quickly is important to you, so we make every effort to process your order promptly. 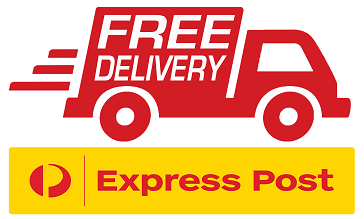 Our courier partner is Australia Post and we use EXPRESS POST Australia Wide. It takes 1-5 business day/s delivery, it depends on your location. Estimated worldwide delivery time is within 8 to 10 working days. Flawless Skin888 is not responsible for any loss, damage and stolen of your purchase. All international orders will be delivered from Australia Post to your country. We will ship out your order after receiving your payment. Tracking Number will be emailed to you to trace and keep track of your parcel. We try to mark all parcels with a reasonable value to avoid import duties, but we are not responsible if your country’s customs impose fees such as import duties, customs, and local sales taxes. We try our best to protect your purchases with bubble wrap before each order is posted out. Unfortunately, because the shipping journey is out of our control, Flawless Skin888 will not be liable for any loss/damages incurred during delivery. We understand the desire to see your products in perfect condition and take special preparation to ensure this. In the event that your parcel is returned to us, you will be required to pay a shipping and handling fee per order that is shipped via Express Mail Service (EMS). If you would like to return the items, we will refund the value of the product(s) minus a 30% restocking fee. EMS shipping fees cannot be refunded.